Are you interested in a weekend of relaxation and learning? Join Dr. Sarah Ballantyne in 2020 for the Foundations of Health Workshop, once again at the serene and beautiful 1440 Multiversity. The 3-day workshop will run from the evening of Friday, February 14th until lunchtime on Monday, February 17th. Learn why understanding how food affects our health at the cellular level is vital to creating sustainable life changes. And why it’s critical to self-discovery—especially for finding our own individual tolerance and for respecting our bio-individuality. In the age of the internet, misinformation, and crafty marketing campaigns, it’s more important than ever to be empowered with knowledge and the ability to critically assess claims. This workshop will also tackle challenging and controversial topics, including busting some common myths that can actually harm your health instead of improve it. This workshop is appropriate for beginners and experts alike, using introductory information, intermediate concepts, and cutting-edge new ideas. You don’t need a science background to thrive with this immersive experience. If you attended in 2019, you can expect about half of the program sessions to be entirely new content, and the repeated foundational material will include updates from scientific studies published between the two events. 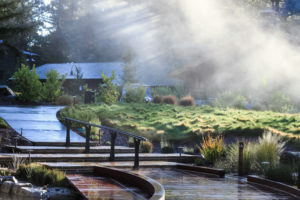 In between program sessions, you’ll have the opportunity to take yoga, meditation, or movement classes; go walking in the redwoods; exercise at the Fitness Center; soak in the infinity hot tub; visit campus cafés; or enjoy time to rest. You can also book a massage or nourishing body treatment at the Healing Arts center, browse campus shops, or meet a friend for hot tea or a glass of wine. Three delicious and nourishing meals per day are included with your stay! Meals are prepared by executive chef Kenny Woods and made with fresh, organic, locally-sourced, and seasonal ingredients. Chef Kenny is well-versed in both the Paleo diet and the Autoimmune Protocol and will be preparing meals that accommodate our needs. 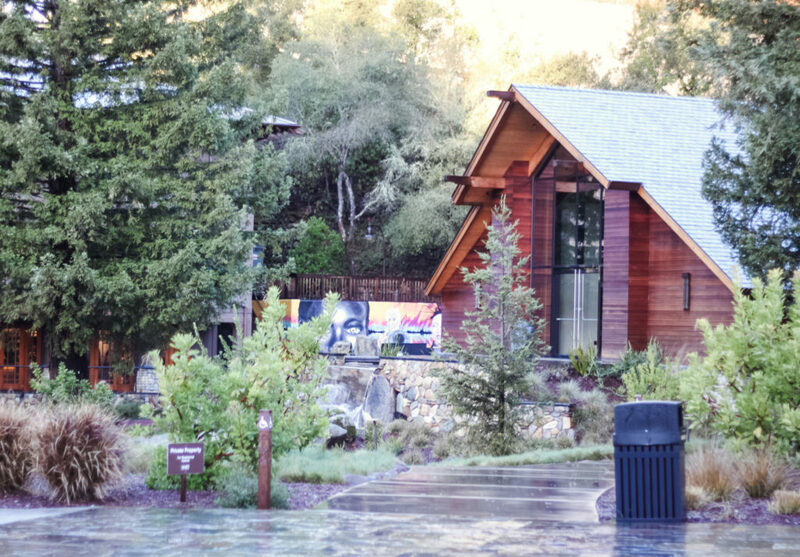 It was truly an honor to host a 3-day long workshop at the spectacular 1440 Multiversity campus in February 2019. The event was attended by 100 women and men who traveled from all over the world to learn, explore, connect and relax. This workshop was absolutely amazing! I love the fact that Sarah (hope she doesn’t mind me calling her Sarah at this point) gives us the science and facts behind everything and not just her opinion. I love her passion for educating people and helping everyone on their journey to wellness. It’s a long and winding road and I’m so grateful to have had the opportunity to attend this workshop and learn so many amazing things. Sarah truly has a gift for channeling her passion for science, nutrition, and wellness into down to earth lectures, which she lively delivers. She is able to explain complex science in a manner all can embrace and enjoy learning. And she loves what she does, you can tell! As a scientist (physicist), I appreciated Sarah’s explanation of the different levels of the scientific studies she reviews and an explanation of her science background. It gave me confidence in her knowledge about the science principles of the information she presents. She’s not just some Mom who read something on the Internet and is parroting it. Wow. I had high expectations for this weekend and they were ALL exceeded. I’ve come away from the retreat reinvigorated and motivated to incorporate even MORE good nutrition and lifestyle practices into my life after this deep dive into why it’s so critical (on so many levels). Dr. Sarah was, of course, spectacularly brilliant and entertaining. Easy to listen to her speak and her synthesis of scientific research is hands-down the best I’ve experienced in the wellness community. 1440 was the epitome of relaxing, nurturing and peaceful and truly the perfect setting for this retreat. I’ll be back next year for sure and I’m bringing my husband with me! I honestly wish everyone I love could experience this weekend. THANK YOU for this opportunity to connect, learn and refresh. This past weekend was such an amazing experience…on so many levels!! 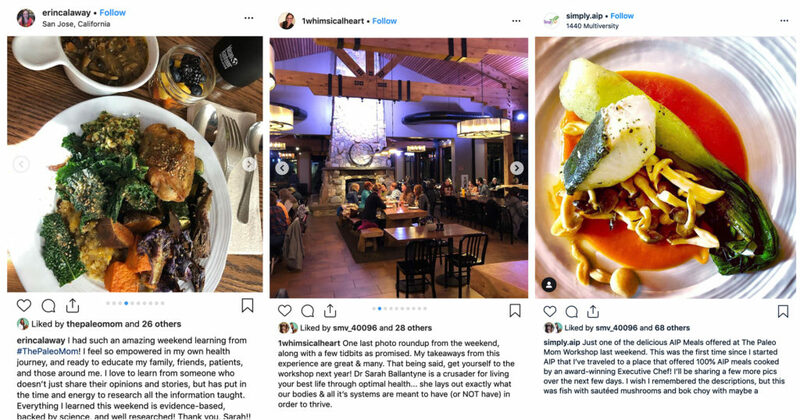 From the incredible lecture content…to the ability to personally connect with Dr. Sarah…to getting to meet and connect with other people who are also walking this same path toward optimum health through nutrition and lifestyle! Dr Ballantyne, thank you so much for your passion for wellness, your search for truth in optimal health through meaningful studies, your dedication in sharing your knowledge and the very real, practical ways that food impacts our body and all of its systems! Truly, I think you have a gift for making it really easy to see the big picture for first-timers, as well as continue to connect the dots for the rest of us, no matter where we are on our journey. I know I’ve thanked you in some of my Instagram posts. Please know my gratitude runs deep, and that because of your workshop I feel more inspired (my close friends would ask how that us even possible?!) and more empowered! My 3-day workshop/retreat at 1440 was fantastic. This was my second visit to 1440, and both times I left the grounds with the desire to book my next stay. The Paleo Mom program was incredibly enlightening, and Sarah Ballantyne is a phenomenal speaker. I came home wanting to dig in and learn more. When Sarah says that this weekend was “profound,” that sums up my feelings as well. It was the most amazing experience, and it is hard to put my feelings into words. I know this sounds silly, but it ranks among the top experiences of my life, right behind my wedding and birth of my sons. I feel so encouraged, inspired, and empowered. 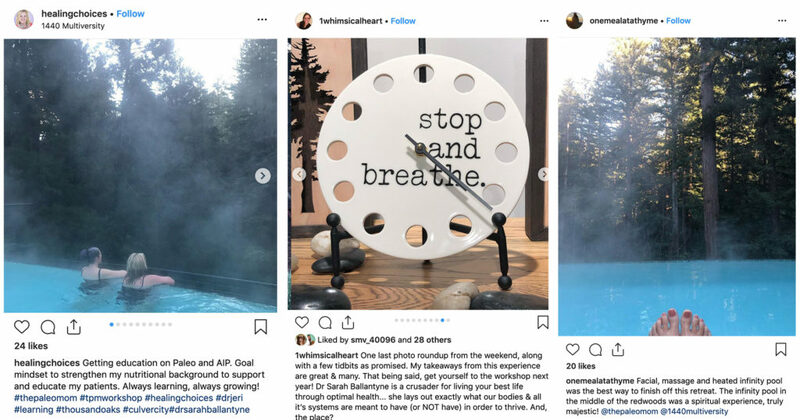 Although I have been following Sarah and an AIP template since 2013, I have come away with NEW ideas and strategies to help myself and my family improve our health. It was worth every minute and every penny. Having all of this set on a campus that was immersed in nature only served to deepen the serenity and focus on personal introspection. In many ways, the weekend was a deeply spiritual experience. 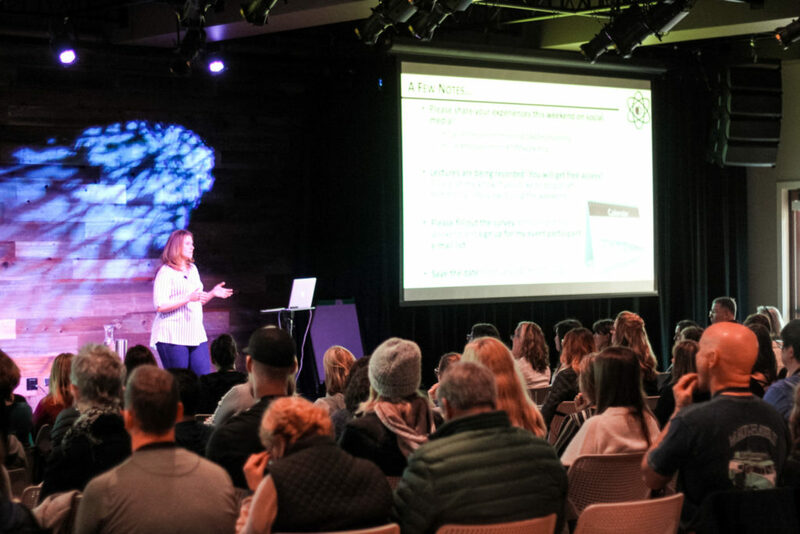 My experience at The 2019 Paleo Mom Workshop & Masterclass at 1440 Multiversity was nothing short of extraordinary and surreal. Throughout my professional and personal life I’ve attended numerous luxury educational retreats at high-end destination resorts/spas, but this experience exponentially trumped them all. Every aspect and element substantially exceeded my expectations (and dreams)! A week later, I’m still reflecting and absorbing all of its depths and nuances, reliving some of the many special moments and staying in communication with new friends. Named for the number of minutes in a day, 1440 Multiversity champions the belief that each minute is an opportunity to be present and aware of how we connect with what matters—both within and around us. Each moment is an opportunity to live fully, and the deepest learning happens when we nurture and awaken all aspects of ourselves. 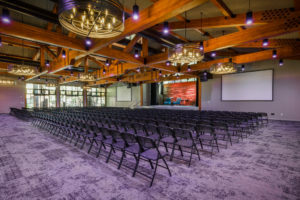 Part wellness resort, part Ted-talk auditorium, part conference center, the 75-acre 1440 campus features state-of-the-art classrooms, meeting spaces, and accommodations tucked away in a lush old-growth redwood forest between Santa Cruz and Silicon Valley, California. With locally-sourced meals, holistic-health classes, Fitness Center, infinity-edge hot tub, and more, your stay at 1440 is designed to nurture, educate, and inspire. 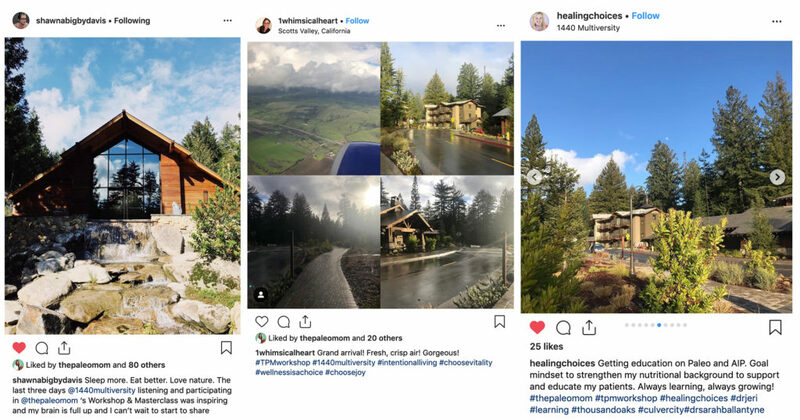 1440 Multiversity was the perfect location to reinforce the content of the program sessions, by encouraging time in nature, unplugging, activity, relaxation, and providing nourishing food. 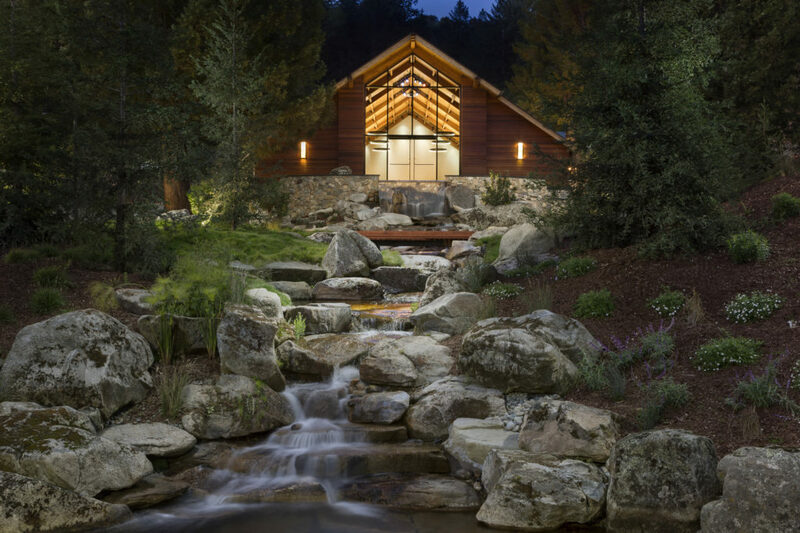 The 1440 Multiversity campus embraces nature with its beautiful and eco-friendly architecture featuring natural building materials, landscaping highlighting the beauty of native plants, impressive water features, and giant redwood trees majestically scattered throughout the grounds. 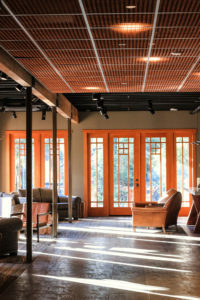 Throughout the campus are art installations, gardens, and unique sitting areas, tucked-away places to gather and connect with friends or to sit quietly and commune with nature. 1440 Multiversity offers a variety of classrooms and meeting spaces, beautifully-designed to feel unified with the incredible natural surrounds, and featuring leading-edge technology, top-notch acoustics, and flexible seating arrangements for groups large and small. Thought-provoking art installations accent hallways and gathering places across campus. There are a variety of accommodations options, from modern Asian-style pods to private executive suites. All accommodation options offered the refreshing opportunity to completely unplug, with no phone or televisions in the rooms. Guest services were available either by a phone call from your mobile or by taking a short walk to The Lodge. Free and fast WiFi was available in all of the buildings and ground in the center of the campus. 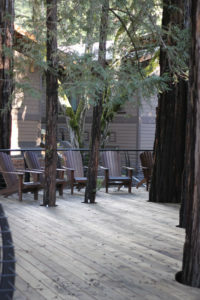 The Lodge is the welcome center, open twenty-four hours a day. 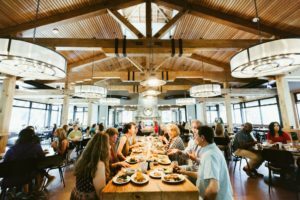 Amid massive wooden beams, stone pillars, copper and iron accents, you can relax in plush leather chairs, cozy couches, and outdoor patio seating—a variety of perfect places to enjoy morning coffee, wine in the evening, or a chat with a friend. 1440 Multiversity offers 4 miles of hiking trails, from easy to moderate difficulty, through exquisitely beautiful and serene old-growth redwood forests. On campus, is the Mother Tree, a 1000-year old redwood that stands not far from the burbling Carbonera Creek and The Cathedral, an enchanting forest amphitheater, creating the perfect location for sitting quietly in reflection. 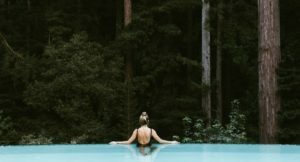 1440 Multiversity also offers guests the use of a Fitness Center, sauna and an incredible infinity hot tub surrounded by the beautiful redwood forest. And, let’s not forget the Health Arts Spa! Many attendees used the free time built into the schedules for spa services, including therapeutic massages, nourishing body treatments, and energy work. Easy to access, the San Jose airport is less that 30 minutes away. For more information about 1440 and its programs, go to www.1440.org. Tuition is $390 for the 3-day workshop (an amazing deal!). Rooms range from $160 for a shared pod to $340 for a private room per night (3 meals per day are included with your accommodation). *Massages or treatments at the Healing Arts center are not included but your schedule will allow for them if you like! For lodging, choose from guest rooms featuring modern, simple elegance to Asian-inspired ‘pods’ and executive suites. Check-in is 4pm on Friday, February 15th. From there, each day is an awesome mix of program sessions by me interspersed with delicious meals and free time to fill with yoga, tai chi, meditation classes, hikes through the redwoods, or taking advantage of any of the amazing amenities at 1440 Multiversity. Whether you’re new to Paleo or AIP or have read every single one of my books cover to cover, there will be awesome and exciting information in this event for you! Supplementary activities options include yoga, meditation, or movement classes; walking in the redwoods; exercising at the Fitness Center; visiting campus cafés; or enjoying time to rest. Three meals per day are included as part of your stay. Kitchen Table is a defining and phenomenal communal element of the 1440 Multiversity campus, is well-known for providing an exceptional dining experience featuring locally sourced cuisine and a seasonal menu, while accommodating the dietary needs of every guest. Meals will be prepared by executive chef Kenny Woods and made with fresh, organic, locally-sourced, and seasonal ingredients. Chef Kenny is well-versed in both the Paleo diet and the Autoimmune Protocol and will be preparing meals that accommodate our needs. Fully AIP options will be available at every meal. Please note that, while not a strictly gluten-free kitchen, Chef Kenny is acutely aware of food allergies and sensitivities and will be preparing food for The Paleo Mom Worshop & Retreat plus Masterclass in a separate area of the kitchen from any foods containing gluten, using best practices for avoiding cross-contamination. All dishes will have ingredients labeled. 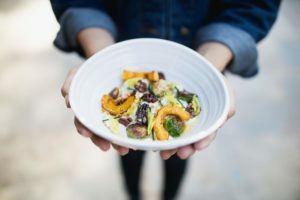 The Kitchen Table at 1440 Multiversity is well-known for providing an exceptional dining experience featuring locally sourced cuisine and a seasonal menu, while accommodating the dietary needs of every guest. Attendees enjoyed eating their meals, gathered at long tables near a glowing fire in an exquisite stone hearth or al fresco with a beautiful view of the redwood forest. The atmosphere at Kitchen Table encouraged connection, conversation, and community. 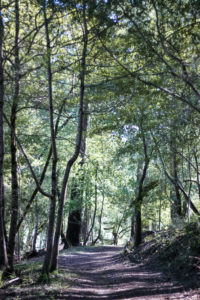 The Foundations of Health Workshop 2020 will be a unique opportunity to combine inspiration and education, while unwinding on a beautiful 75-acre campus and creating the connections you seek. I hope you’ll join me for this amazing weekend! I expect this year’s event to sell out, so register now to guarantee your spot.